Welcome to the Antworka Transport website! 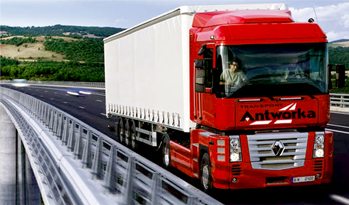 Antworka Transport was established on 1st July 1990. During this period, we specialized in international transport. We are focused on goods safety. Our drivers have many years of experience in transport which guarantees reach the target without any problems. Drivers are equipped with mobile phones for easy communicate with forwarding agents, contractors etc. We can also transport dangerous goods. We have all required certificates.